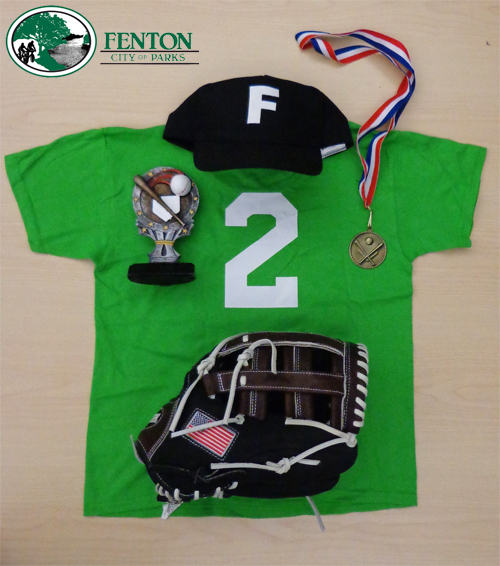 All Fenton Parks and Recreation Youth Baseball Programs are offered seasonally. Check out the latest issue of The Beacon to see if your favorite programs are offered this season. day and time, between 5:00 p.m. and 6:30 p.m.
information will be emailed. For session dates and fees please click here to view the current Beacon. Click here for T-Ball league rules. emailed. For session dates please click here to view the current Beacon. Click here for Coach Pitch league rules. These 3-week instructional programs, held at Fenton City Park, will focus on the techniques of hitting, fielding and running the bases. Each participant must bring a glove. Program dates are available in the current issue of the Beacon.
. Coaches are always needed and will receive a FREE registration credit at the end of the season.